Jamais sans mon foulard. Never without my scarf. 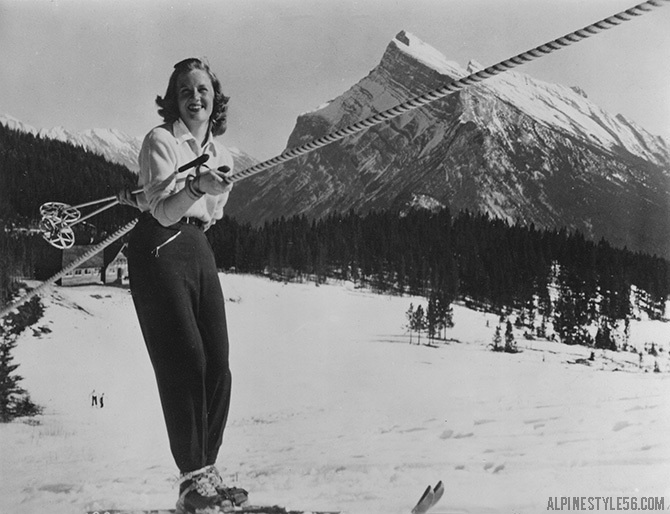 Marie-Pier Prefontaine, one of the Canadian Alpine Ski Team’s rising stars, could not “ski without her scarf.” She wanted something fun and unique to wear on the ski hill whether it be for a World Cup or Olympic race, or just for chasing powder with friends. This is why she created IGOTSWAGG. 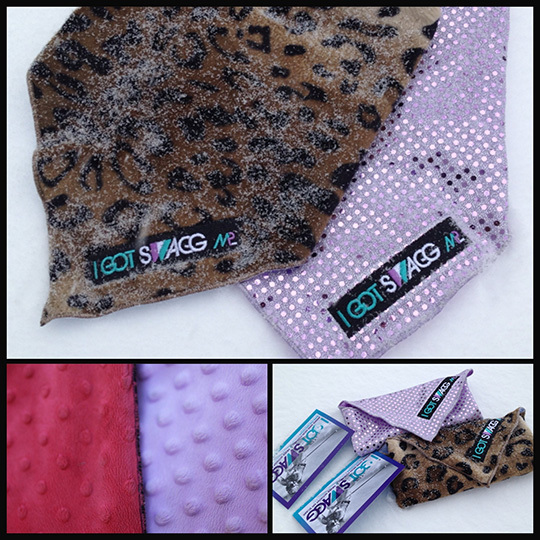 If you love cool colours and soft warm fabric around your neck, then you need an IGOTSWAGG scarf. Words from teamigotswagg.com where scarves are available for purchase. Marie-Pier at Beaver Creek 2013 – 9th in Giant Slalom! Sparkle scarf. Photo via MPP’s Instagram. 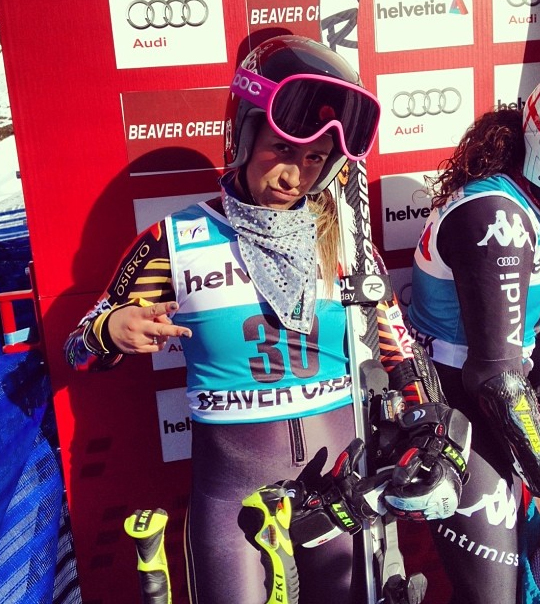 Lara Gut wins the 2013 Lake Louise Super-G. Giraffe scarf. AP Photo/ The Canadian Press, Jeff McIntosh. 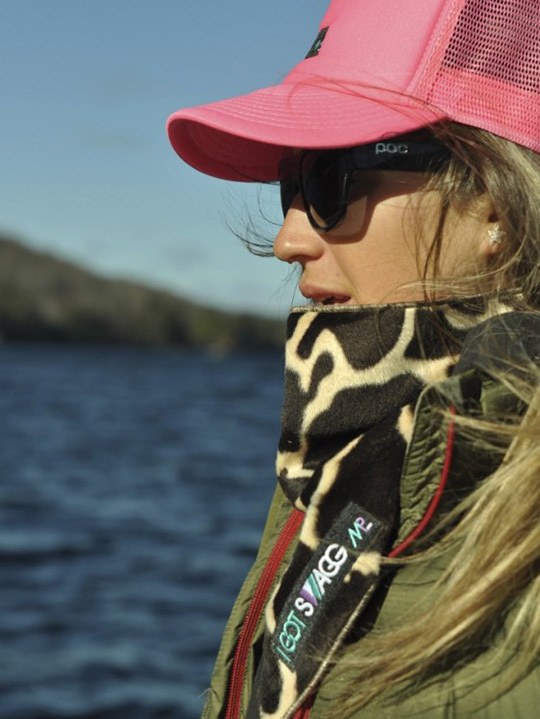 IGOTSWAGG scarves are a bandana-style design that attach at the back with Velcro – very easy to adjust precisely. The double-layer construction features a textured velour-like fleece lining. I have seen this same fabric used for baby blankets – it is super soft, comfortable and so cozy! Orders were received quickly with a nice, simple presentation. Scarves are made in Quebec, Canada. 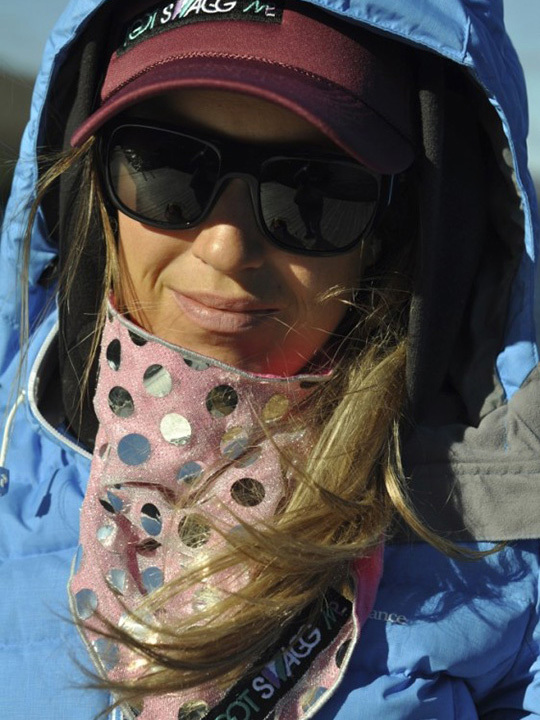 I am someone who generally does not wear anything extra around my neck to ski – only on the absolutely coldest days – as I generally find neck warmers too thick and restrictive. The design of IGOTSWAGG solves that issue for me thanks to a weight that is not too thick (but plenty thick to be warm and protective) and the ability to adjust the size to be just right. Sparkles, patterns and colors make this a fun collection. But it is the size of the product, large enough to create ample draping, which is what gives these scarves swagg – serious style more like a scarf than a workhorse neck gaiter. Okay, so it is a bit late to actually receive these in time for Christmas – but IGOTSWAGG scarves are fantastic and do make great gifts. . . better yet, a treat for yourself! After exciting action on the new and challenging Raptor course in Beaver Creek, Colorado, women’s FIS World Cup alpine ski racing has moved north to Lake Louise, Canada. If the weather cooperates, there will be training runs to monitor today and tomorrow. Fingers crossed that Lindsey Vonn is able to safely return to competition and the rest of the U.S. women’s speed team regains their winning form of last winter. The men have traded places and are now in Beaver Creek waiting for the snow to stop to train on the demanding Birds of Prey course. Three races will be televised this weekend on NBC – such a treat in this country to have ski racing on a major network. Tune it and enjoy!